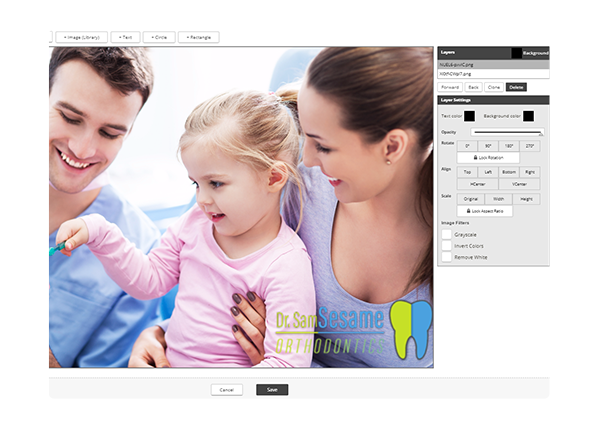 Sesame Social provides you with everything you need to connect with your patients and create compelling content! 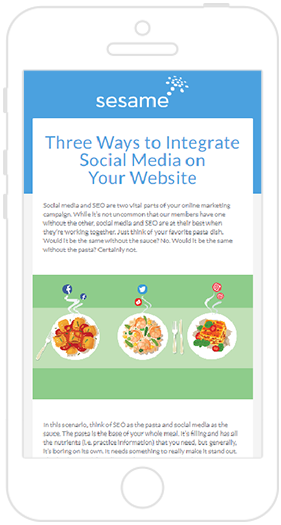 From custom graphics designed using YOUR logo and brand colors, to fun stickers and 3rd party articles curated from across the web, Sesame Social has it all. Practice-branded and custom graphics to enhance your practice’s event or special occasion. View and respond to visitor posts, reviews, and private messages from one dashboard. Find curated web articles by topic, keyword, or specific RSS feeds. 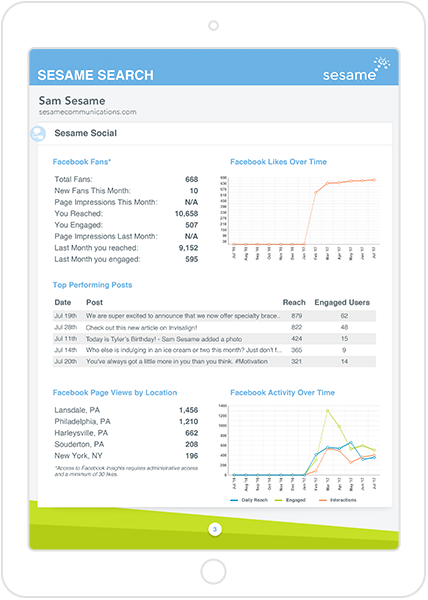 View real-time and historic post performance, as well as a monthly post analysis report. Our team of social media experts will design custom graphics using your logo and colors, allowing you to keep your brand image consistent across all platforms. Our content libraries are updated weekly with new GIFs, stickers, and frames, so you can post about what's trending. 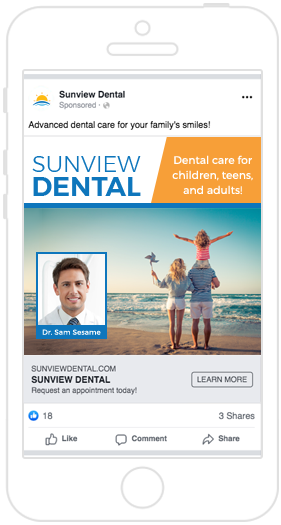 Our social media team will keep your practice up to date through our Sesame Search Weekly newsletters, as well as our dedicated Sesame Search Education YouTube channel and Facebook page. Sesame Social will keep you informed on social media marketing trends and developments, and show you how to take advantage of these trends and new features! Our social tool allows you to keep apprised of what's happening on your social media accounts. 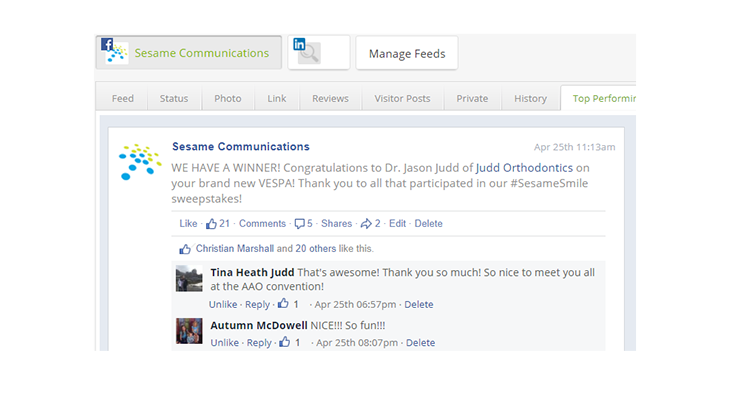 View, comment, like, and respond to visitor posts, comments, private messages, and even reviews. Don’t worry about logging into all your social media accounts, just log into Sesame Social and quickly engage with your audience. Content is king, and our Content Center provides you with an easy-to-use library that curates the most popular articles from across the web. Quickly filter by topic or search by keyword, and with just one click, post articles to all your social networks. Stop worrying about having enough content to post, simply look at what's trending and find content that performs! 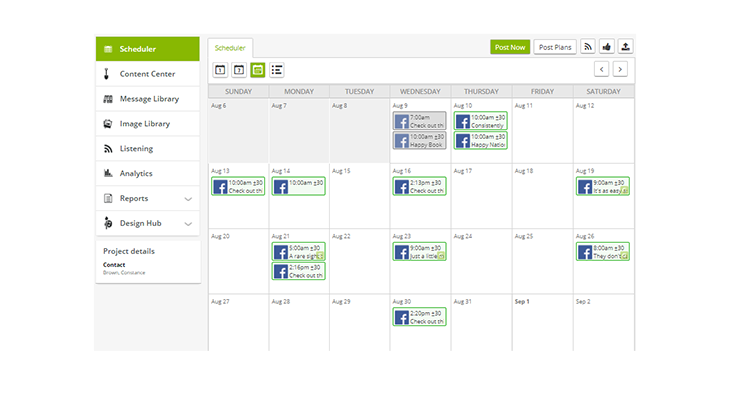 Time is money, and you can save time by taking advantage of our scheduling tool. Easily schedule as many posts as you would like, on as many social networks you would like, and let our automated scheduling tool take care of the rest. Posts are optimized for peak performance based on your audience, so don’t fret about when to post—let us do it for you! We provide ongoing management of your social media presence for your practice, and allow you to review the progress of your social media campaigns with our easy-to-understand email reports and social media roadmaps. And if you ever have questions or need help with fresh new ideas for your online social presence, you’ll always have direct access to our team of social media experts. We’ll work with you to determine what is going well, and what we need from you to drive patients to engage and connect with you online.